We’re pleased to introduce you to Tom and Meganne Pierson, owners of Pierson Bison Farm in Paris Township. 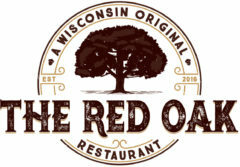 They are our closest farm partners, located less than a half a mile from the restaurant! 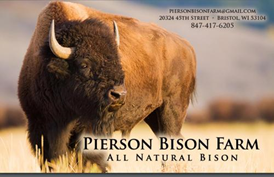 The Piersons bought the 60 acre property in 2008 and began raising bison in 2012. Tom had his first exposure to bison at the age of ten when he visited Lester’s Bison farm and met Ron Lester. “They are such majestic animals” says Tom, and forty years later he reintroduced himself to Ron and asked the experienced bison farmer to help him get started. Tom had cedar posts shipped in from Michigan and the six-foot high tensile wire fence sent up from Texas. He then spent his evenings and weekends for the next two years installing the fence. People often ask if buffalo and bison are the same animal. They are officially named the American Bison,but many years ago people called them buffalo because they thought they looked like the water buffalo. Tom enjoys introducing people to his bison and often has visitors to the farm. 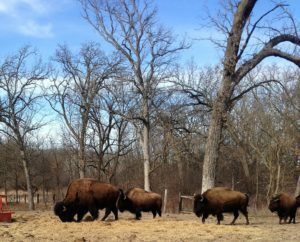 He loves to share bison facts, including how fast they can run (30 miles per hour!) People really enjoy watching the animals graze and play in the pastures. While they are still a wild animal, the bison will often come to the fence for an apple, carrot or pumpkin treat. When you stand next to the fence you quickly realize how large these animals are, their heads and shoulders are massive, but they are extremely agile. Older male bison can reach 2,200 pounds. Young bulls are typically butchered around 3-4 years old and weighing around 1,500 pounds. It takes that long to raise a true grass feed animal to that size. To minimize the stress on the animals when the time comes Tom, working with the processor and a state inspector, quickly field kills the animal. The animal is then transported to the processing plant, all within 45 minutes. 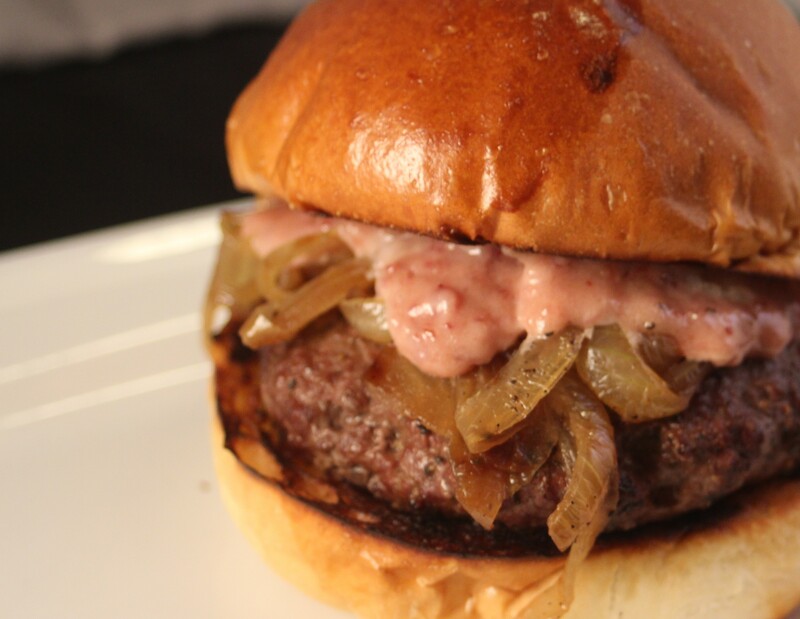 While the bison burger rotated out of the most recent menu, you can look forward to its return later this fall.